Location: Hotel Metropol is located at the center of Golden sands. 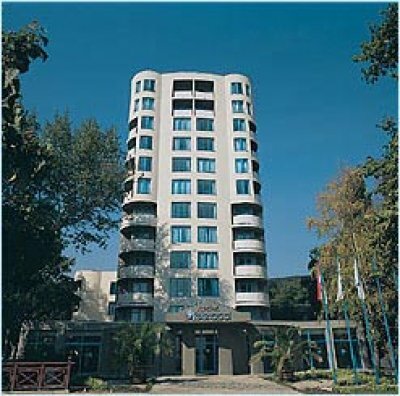 Accommodation: Metropol hotel offers 91 Double rooms; 13 single rooms; 26 apartments. Some double rooms (24) may offer to 2 family rooms, contains 2 double rooms. 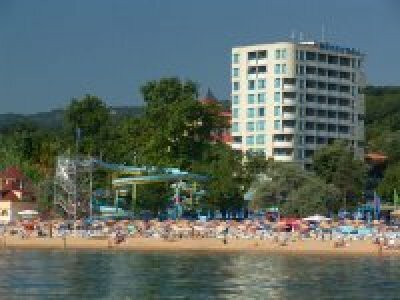 We've found your hotel on (www)bulgariansearesorts.com and got interested in your offer. Please send us your prices. We are planning to visit Bulgaria in August. I think,we'll need one family or standard size rooms with extra beds. We are two adults and three children (ages: 6; 10; 12). My family and I stayed at Metropol for a week in August 2006. The location is perfect,10 meters from the beach, 5 meters from a small "waterpark" and swimming pool. The breakfast was ok and the rooms were clean. A small problem with the two old lifts that the hotel still use (only 3 persons). But i will visit again Golden Sands and for sure i will stay in Metropol.